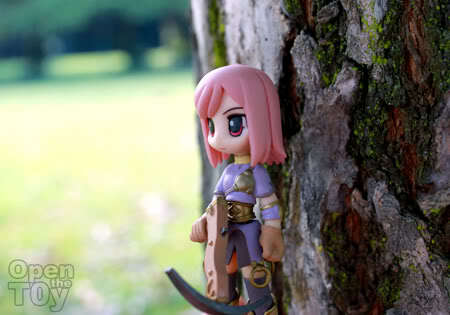 Sometime ago, I brought this cute toy for a shoot while I was attending an outing with my family. While I was taking photograph of this toy, someone asked me about the toy. Obviously she was an archer in a RPG game or story. I tried hard to recall which toy line was she from but to no avail. 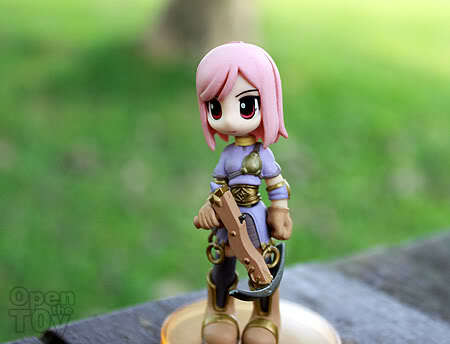 I know she was from One coin trading figure which come in a box but I couldn’t put my fingers to the name of this anime or game. I got her randomly in a box. After opening the box like most of my loose figures, I threw the box away. So I have no reference to know what anime or game in the toyline was she from. Currently I am as lost as she look in the photo. Waiting for an answer. I think the title started with R... Actually it is not a bid deal but it would be nice if I know the answer. Can you help me? help her? she's cute! but I don't play games so I can't help you out with the name. But with the looks of her, is she from the figumate line? I'm not sure but I have a few of them and they are from One coin if I remember correctly. YOu are right! That is the name. 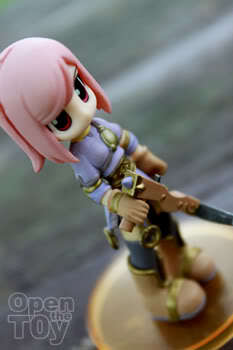 I did a search and found out that she was one of the 6 3rd series Ragnarok Online figurines! I was too slow to catch the fever. Are you still playing that game now? 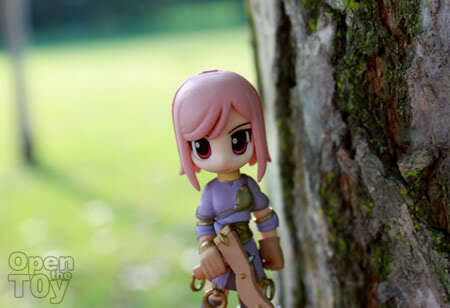 Nice outdoor photoshot and this adorable figure you got there. I will see you this Sunday bro!